Sonic Angels started out in 2005 with the intention of keeping up the tradition of captivating, melodically inspired and wild punk rock garage bands of the 60's and 70's. 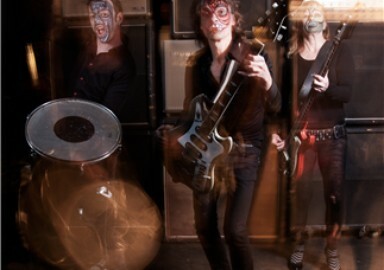 Based in Montpellier, south of France, the Sonic Angels are pushed forward by this non stop action duo Sylvie Martin (bass guitar/vocal) and Marc Hacquet (guitar/vocal), with Animal Dragon on drums,a line-up welded together by fierce heat. On stage with over 400 gigs in under seven years in all Europe, USA and in Mexico, the Sonic Angels have brought their set to become an extremely powerful and at the same time physical machine which reflects the energy of bands for whom rock'n'roll is a way of life, of thinking and of breathing !! !